Hey guys and happy Thursday. Which means its almost Friday…which makes me a super happy woman! Thanks so much on all of your kind words regarding the subway tile reveal. Can you believe my husband was initially against it, but as it went up, he loved it just as much. But, we truly love it yall, so thanks for taking the time to check it out. Ok, enough chat, here is the full video tutorial of how we installed the tile. But if you have any questions about how this was completed let me know! You can email me or leave a comment below. 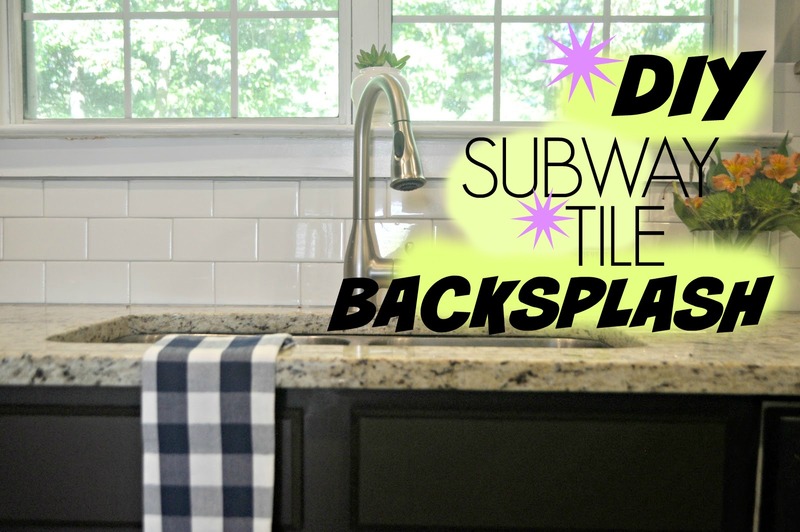 Previous Post DIY Subway Tile Backsplash Reveal!!! lol most men don't know what they like until we show them! Great video too!